Problems with the neck, shoulder and arm are often called different things by patients: neuritis, bursitis, neuralgia, rheumatism, frozen shoulder, fibrosis, sprained, strained or sore muscles or "poor circulation." Bailey Chiropractic Centre of High Point, NC can help with neck pain, arm pain and shoulder pain. Old Age and Shoulder Pain? Some people may blame their shoulder (or other joint) problems on "old age" even though their other shoulder, which doesn't have any problems, is just as old. What controls your shoulders, arms and hands? How does a message from the brain tell the arm to move, regulate the heartbeat or control the functions of glands and internal organs which are so far away from it? The brain "talks" with the rest of your body through a vast telecommunications system made up of nerves. Nerves come out of your brain in a large bundle called the spinal cord and travel down your back inside the spinal column. As the nerves from your brain trail down your spinal cord they first have to pass through holes (foramina) between the spinal bones (vertebrae). Some nerves go straight to their point of destination but some first mix with other nerves to form complicated nerve networks that anatomists call a nerve plexus. You have a number of plexuses in your body: there's the cervical plexus along each side of your neck, the brachial plexus near your shoulders, the solar plexus near your stomach, the lumbar plexus in your lower back and many, many others. We will be discussing the brachial plexus. The brachial plexus is made up of nerves which come out of the middle and lower neck and upper back. After they interconnect to form the brachial plexus they branch off to supply different areas, especially the shoulders, arms, elbows, wrists, hands and fingers. The most common from of brachial plexus damage is to the nerves that make up the brachial plexus as they exit the spinal column through the foramina plexus. In the foramina the nerves are surrounded by a ring of bone and meninges (though coverings) and if the ring becomes smaller the nerves may become compressed or "pinched." What causes the nerves to get "pinched?" Many things: long-standing spinal stress; old injuries such as falls from childhood; new injuries such as sports mishaps or car accidents (especially whiplash - a situation where the head and neck are suddenly "snapped" forward and backward); arthritis; being twisted, pulled or shaken; or even sleeping in an awkward position as well as many other stresses and strains of daily living. Depending on which brachial plexus nerves are damaged, different symptoms and problems may be experienced. Neck pain or neck stiffness may be one of the first signs of brachial plexus damage. In some people the pain may radiate to the shoulder and down to the arm, wrist, hand or finger. Sometimes there's extremity pain but not neck pain. Sometimes there's no pain but numbness - a sure sign of nerve damage - sometimes there's pain in one area the brachial plexus goes to and numbness in another. "Pins and needles" of the fingers or other areas can be a sign of brachial plexus problems, while weakness of the involved parts may also occur. Because of the complicated way nerves interrelate, conditions such as headache; migraines; facial pain; dizziness; limited, painful or stiff motion of the head and neck; throat conditions; thyroid and nasal problems and even epilepsy have been reported as being caused by brachial plexus damage. Lower back pain has been reported to be caused by cervical or neck spinal damage as will. Bailey Chiropractic Centre of High Point, NC can help. 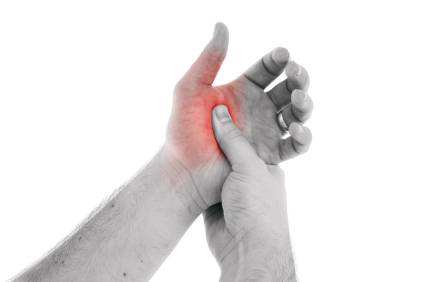 Carpal Tunnel Syndrome or CTS is now so common it's been called the "occupational disease of the 1990s." Symptoms include tingling and numbness in the hand, fingers and wrist; pain so intense that it awakens you at night and similar symptoms in the upper arm, elbow, shoulder or neck. Increasing numbers of people are seeking chiropractic care. As one researcher has written: "Faulty innervation caused by spinal joint lesions in one of the main factors in the production of wristswelling, carpal tunnel syndrome, [and] tennis elbow." Although chiropractic's success with shoulder, arm and hand problems is well documented, it is not a treatment for those problems. The chiropractic approach to a person's health problems is very different from the medical approach. Rather than treat the condition a patient has, the chiropractor concentrates on the health of the patient. Chiropractic is devoted to correcting abnormal spinal structural conditions called vertebral subluxations or spinal nerve stress which cause abnormal spine and joint motion and nervous system stress. Unless corrected, vertebral subluxations can cause or contribute to many health conditions and prevent or interfere with the normal healing process. The chiropractor specializes in analyzing your spinal column for vertebral subluxations and correcting them when found. In this way the chiropractor helps restore the healthy flow of nerve impulses between the brain and the body parts. The nervous system is what coordinates and organizes your body and when it is functioning without subluxations you are more organized, more balanced and more "whole." In fact, the word health comes from the Greek haelos which means "whole." A whole body is stronger and able to heal itself better than an unwhole or dis-eased body. Dr. Bailey will help turn on your inner healer. Please contact Bailey Chiropractic Centre of High Point, NC to schedule your chiropractic examination today.